Alpha Stained Glass is a family run workshop. Since its establishment in 1986, the workshop has grown to employ several experienced & accomplished craftsmen and women in the design & manufacture of painted Stained Glass windows, Leaded and Sandblasted glass panels, stained glass conservation/restoration and installation of our bespoke storm glazing system. Commissions to date have included works carried out in St Columb's Cathedral, Derry, St Nicholas' Church, Carrickfergus, St Patrick's Church, Maghera, St Columba's Church (longtower) Derry and St Malachy's Church, Castlewellan. Further afield, work has been designed and manufactured for projects in Paris, Bonn and Andorra. In 2010 Alpha Stained Glass was awarded the prestigious contract to restore the stained glass in St. Columb's cathedral Derry. Our most substantial conservation project to date. The project was completed in February 2011. 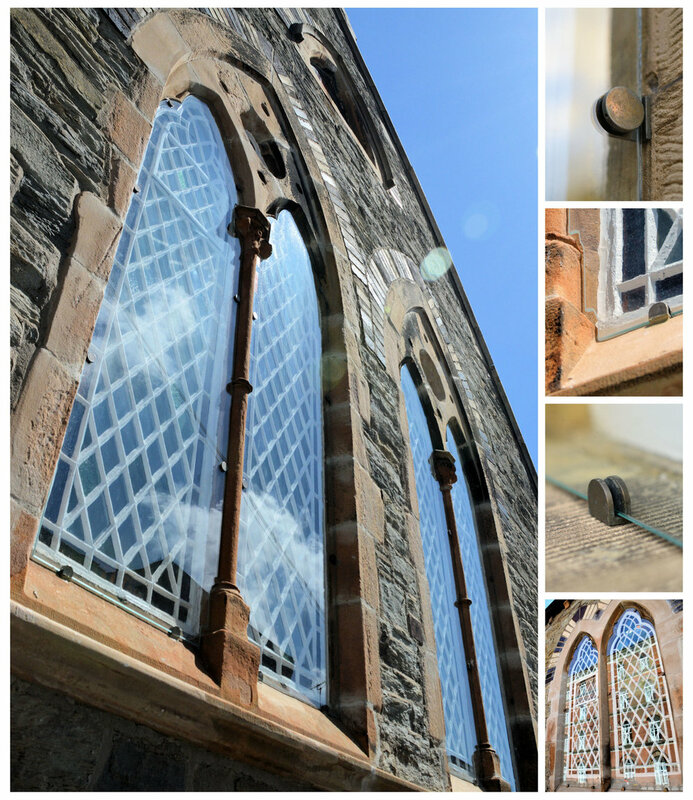 Alpha has developed a new fully ventilated removable storm glazing method over the past 10 years and approved by heritage Ireland for its use in the prestigious restoration of St Columb's Cathedral, Derry. With over 30 years experience we endeavour to create bespoke stained glass windows for every setting such as the domestic home, church or commercial bar/restaurant. Why not speak to our design team today about your needs?.